Private transport startup Uber has announced its official launch in Amsterdam, its third European city, after a month-long testing period. After Paris and London, Uber is bringing its private driver service to Amsterdam, recognizing the city’s “international and entrepreneurial character,” as the company states in its press release. While bicycles are probably the most popular means of transport in the city, autumn rains and winter cold may aid Uber in attracting customers in the Dutch capital. Amsterdammers can download the Uber app for iOS or Android, or just visit m.uber.com to request a ride. The minimum tariff for the service is €12 ($15.60) with price-per-kilometer being €2.34 ($3) and price-per-minute €0.75 ($1). Also there’s a flat rate for a ride from the city center to Schiphol airport, which costs €50 ($65.10). 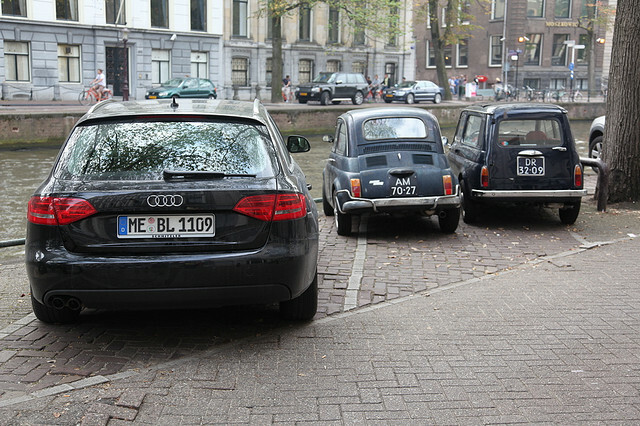 During the testing period, customers in Amsterdam could have been picked up by a Mercedes S class car, an Audi A8, and a BMW 7 series. Uber services are currently available in 23 cities in Europe, North America, and Australia (including those in testing mode). Image credit: MdenHoedt / Flickr.